Education Secretary Betsy DeVos denied that her response to the Parkland massacre was just “talking” and said that there is a “sense of urgency” in combating mass shootings. DeVos has been placed by the President atop a commission to look at school violence after 17 students and faculty were killed last month in Florida. The move comes along with White House support for a Justice Department program that will aid states in arming school personnel, and DeVos told 60 Minutes that it “should be an option” for teachers to have guns in the classroom. “My first-grade teacher, Mrs. Zorhoff, I couldn't ever imagine her having a gun and being trained in that way. But for those who are-- who are capable, this is one solution that can and should be considered,” she said. 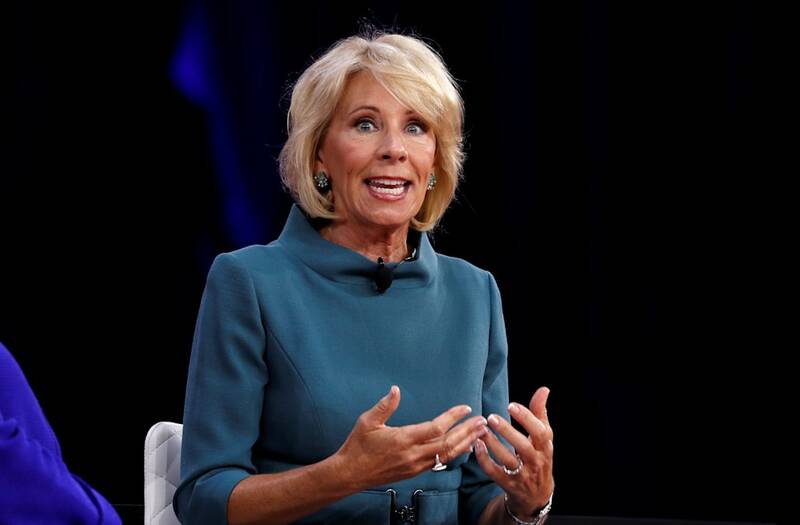 The Education Secretary, who also faced questioned about why she is the “most hated” member of the Cabinet, found herself surrounded by controversy this week after a visit to survivors at Marjory Stoneman Douglas High School. The Education Secretary has also sparked opposition for leading the “school choice” movement that moves funds away from traditional public schools in favor of alternatives such as charters, but did not have answers when pressed by 60 Minutes about why the policies have not led to higher test scores in her home state of Michigan.